I am so excited that we can do this project again this year!! It’s definitely my favorite part of being in Mexico for Christmas. The whole season is not just about delicious food, parties, presents and decorations. With this event happening on Christmas morning, it is an even happier day. It means watching sweet little faces light up when they unwrap their own towel, toothbrush and toothpaste. It means hearing a hundred “muchas gracias! !” throughout the morning. It means that we get to be a part of meeting real ACTUAL needs in a few people’s lives! Actually, more than a few. 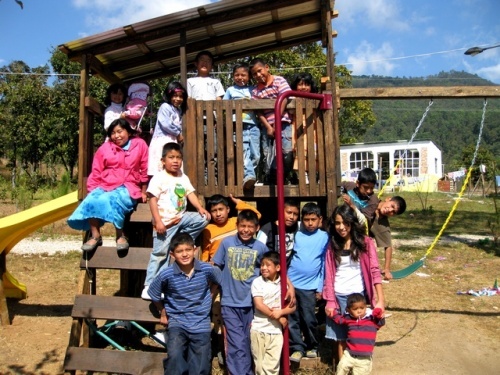 In the last several years, Casa Hogar (the orphanage we work with) has had between 20-25 children in their care. But as of today, they have 35!! With the sudden influx of little people, the current need is large and practical. Sheets, shoes, blankets, etc. Last Christmas, one church drew names and purchased 2 pairs of shoes for each child. Maybe you would be able to do something similar with your small group, family, work friends, or class? If you are interested in seeing the reports from the last two years, you can look here for 2011 and here for 2010. In the past, we have made a poster-board full of photos of people who had sent funds/gifts for the children. We gave it to them along with their presents. They LOVED seeing pictures of the folks who made their day so special, so I plan on doing that again this year. If you contribute to the project, e-mail a photo of yourself or the group you are in to nathan_terrell@sil.org ! You have made such a difference in these kids’ lives already… I can’t wait to see what you do this Christmas!